I decided to hit up the Games Workshop booth in order to establish a better relationship with them to get Purple Pawn back into miniatures news again. I was met with a warm reception, got a few painting tips, and will be expecting some awesome product news and more in the future. 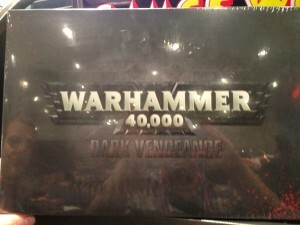 The biggest thing GW was showing off was the Warhammer 40k Dark Vengeance box. 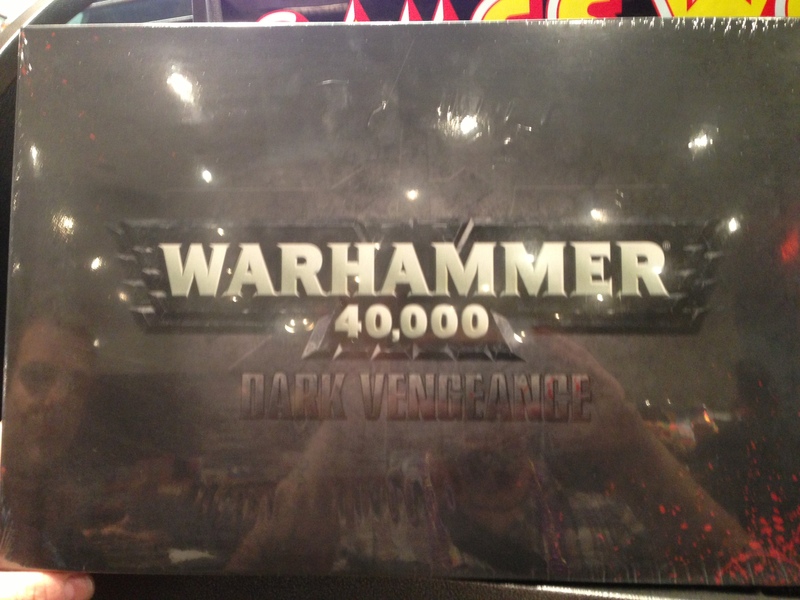 This starter set contains Dark Angel Space Marines and the Crimson Slaughter Chaos Space Marines. Of course you get the rules, dice, rulers, scenarios, etc… All-in-all you get a lot in the box for $100. So there you have it. Keep an eye here in the future for more GW news! I hoped you asked them why they are such patent bullies. You better add “TM” marks to those names there or you’ll get sued. Also, make sure to ask them if no one is allowed to use the words Dark or Vengeance ever again.